Three Thanet council lots that went under the hammer as part of the authority’s asset disposal programme have raised a whopping £369,000 OVER the guide prices. 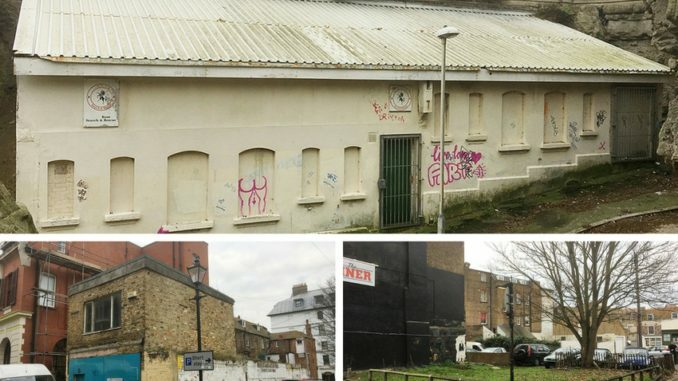 The former Thanet Canoe Club’s base in Newgate Gap, Margate, has sold at auction for £99,000 after a bidding war; one of three Margate lots that stunned the saleroom. The premises might be suitable for a variety of uses or perhaps conversion subject to all necessary consents being obtainable. The lot was offered with a freehold guide price of £50-60,000. It was among 118 lots listed for sale by Clive Emson, the land and property auctioneers. Kevin Gilbert auctioneer, said: “There might be a number of uses for this building and of course all necessary consents must first be obtained before any changes can be carried out. A further lot was land next to 3 Duke Street in Margate’s Old Town that sold for an astonishing £200,000 above the guide price. The site formed part of a larger redevelopment scheme known as the Queen’s Arms Yard. It had planning permission that is now expired and the plot was to have included two retail premises and six flats. The freehold guide price had been £50-£70,000 but it sold for £270,000. Kevin added: “There might be potential to develop, but new permissions must be obtained. “Again, the price paid shows what confidence there is in the auction market for well- located plots”. A further Margate lot was 10 Market Street; a detached, derelict building that requires total refurbishment or re-development subject to all necessary consents being obtainable. The freehold guide price was £45-50,000, but the hammer came down when bidding reached £180,000. The next sale is the second of eight this year and takes place on Monday, March 20, at The Clive Emson Conference Centre in Detling, Maidstone, beginning at 11am. Thanet council had 13 sites earmarked for sale on its asset disposal list in a bid to save £100,000 by April. Council leader Chris Wells said more council property and land was likely to be sold in the next financial year as part of a money-saving drive.